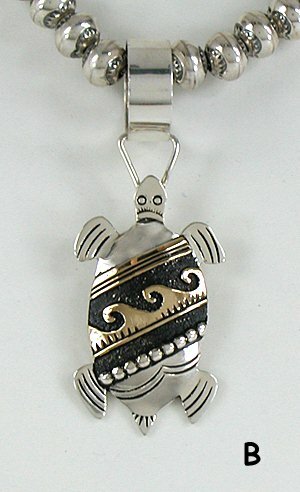 Paula says - "This sterling silver turtle design has accented background areas of darkened silver dust. Beautiful work!" 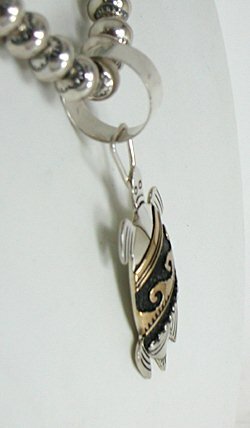 The large 5/8" diameter bail enables you to wear the pendant with silver beads, a stone necklace, bead or treasure necklace, a collar, heavy chain, leather, anything.